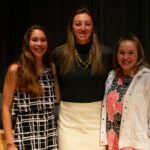 New Hampton School and the Winnipesaukee Playhouse in Meredith, New Hampshire have worked together for more than five years. This year, both organizations are eager to see this partnership grow to support education, theatre, and the community. After a series of meetings this summer between Joe Sampson, Director of Performing Arts at New Hampton School, and Tim L’Ecuyer, Director of Education at the Winnipesaukee Playhouse, School administrators and Playhouse artistic staff convened to discuss a larger partnership. Both organizations are eager to try something new this winter. Historically, our school and the Playhouse have each staged a winter performance in February. This year, they will perform one play together, casting students from the School and local community in a professionally produced show. The Winnipesaukee Playhouse has hosted its summer education program for young children on the New Hampton School campus for several years. This past year, the Playhouse ran five week-long camps, each camp culminating with a performance in the School’s theater. The residential campus is a fantastic venue for the Playhouse’s program with ample room for games, activities, dining, and performances. New Hampton School loves the young, enthusiastic voices on campus and added exposure in the community. Several campers have since grown up and enrolled at the school, now familiar with the community and the performing arts program. Relationships and friendships with the playhouse have grown overtime. History Department Chair Meredith Brown has directed shows at the Playhouse, and her spouse Thom Beaulieu, former science faculty, frequently acts as a designer of lighting and sound for performances. Students perform “The Show Must Go On,” a show they wrote and performed in one week as part of Project Week. Two years ago, a New Hampton School Project Week group dug into the performing arts. Their essential question for the project: What does it take to write, stage, and perform a play – all within one week? 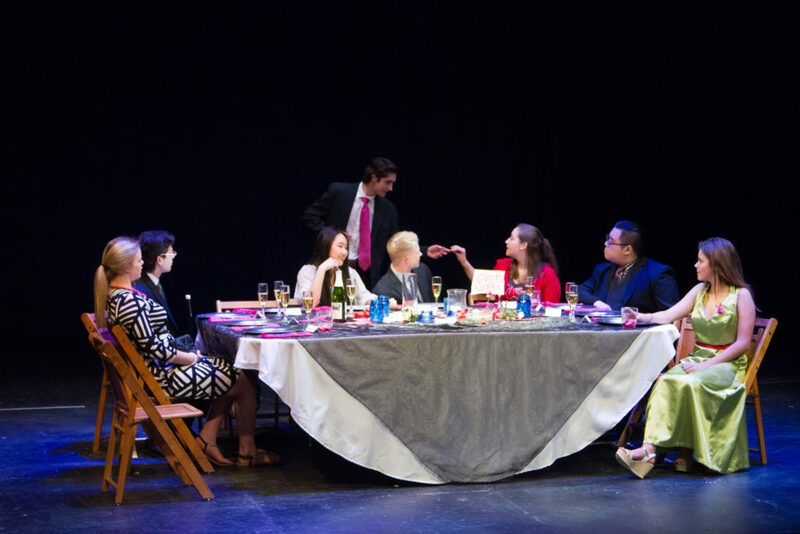 Students, several of whom did not have experience in theater, created the play “The Show Must Go On”. 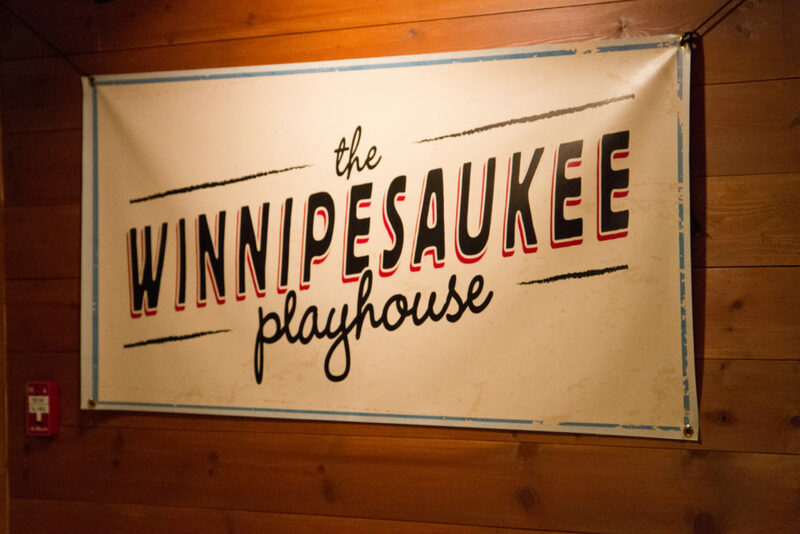 This project was a huge success, with the final performance exhibited on stage at the Winnipesaukee Playhouse. 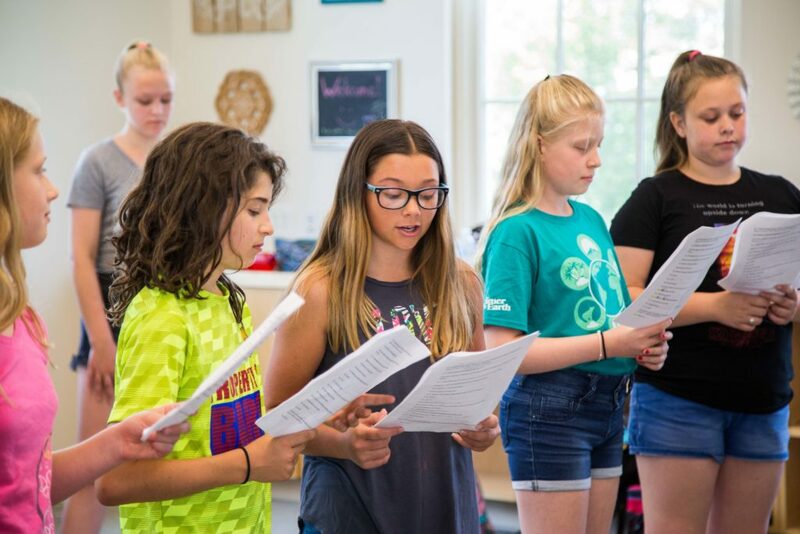 The facilities and resources offered by the Winnipesaukee Playhouse are tremendous for New Hampton School Performing Arts. With a rich history in a renovated mill building, the organization houses visiting actors, professional directors, an educational department, and much more. This winter, New Hampton School students will audition for the show among a much larger group of high school students. 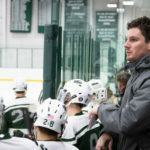 The show will be directed by Joe Sampson, the School’s Director of Performing Arts, complimented by professional designers and technicians from the Playhouse. Students, likewise, will have the opportunity to perform with talented, local area high school students. 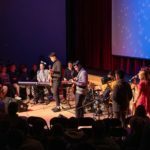 Typically, New Hampton presents one show for the school community and one that is open to the public–but mostly to a familiar supportive audience of parents, faculty and friends. With this new opportunity, the winter show will follow the standard performance schedule of the Winnipesaukee Playhouse. This includes four performances running over the course of one weekend. The New Hampton School winter performance will go on in partnership with the Winnipesaukee Playhouse in Meredith, New Hampshire. 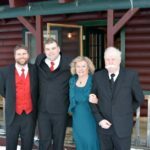 A successful non-profit, and the premier theater organization in the region, the Winnipesaukee Playhouse draws large audiences. 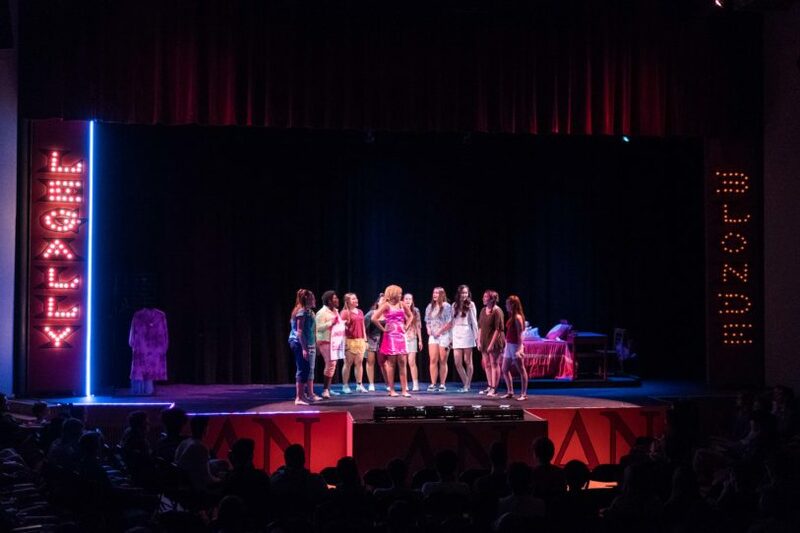 This past summer, theater-goers enjoyed a variety of professional productions including Mamma Mia! and Ghost: the Musical. New Hampton School is always seeking to try something new to better the student experience and grow our community partnerships. We are eager to see this partnership grow with this newest project.